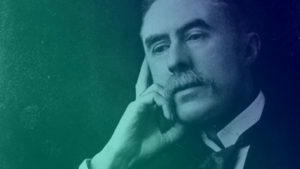 Our latest workshop looks at ‘On Wenlock Edge the Wood’s in Trouble…’ by A. E. Housman. 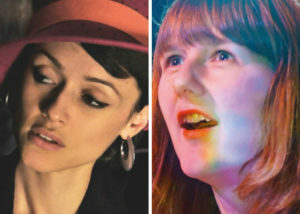 This workshop is free to join, and open to all poets and translators. 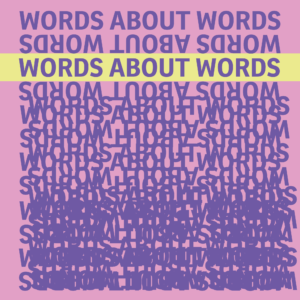 Our latest workshop looks at an untitled poem (***) by Lithuanian poet, Nijolė Miliauskaitė. 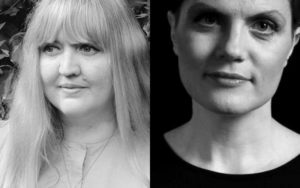 This workshop is free to join, and open to all poets and translators, regardless of their level of proficiency with the original language. 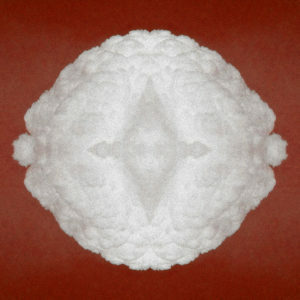 How to translate words born from silence? 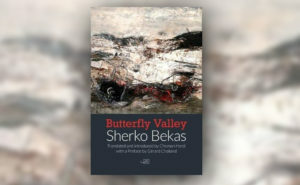 Katrina Naomi reviews ‘Butterfly Valley’ by Sherko Bekas, translated by Choman Hardi, Arc, 2018. 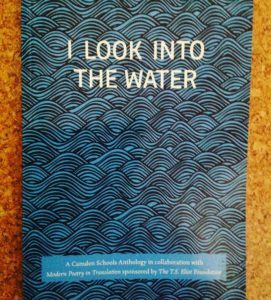 The anthology from our Camden Schools Project, I Look into the Water, has arrived, edited by Christian Foley, sponsored by the T. S. Eliot Foundation, and full of stunning work by the students of Regent High, Maria Fidelis, LSU and CSG. 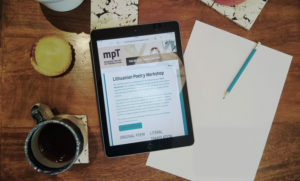 We are delighted to present this digital pamphlet on Latvian poetry, produced in partnership with the British Council as part of the London Book Fair 2018 Baltic Market Focus. 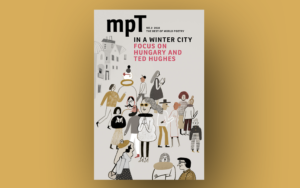 Book tickets to our winter 2018 issue launch at Poetry in Aldeburgh! 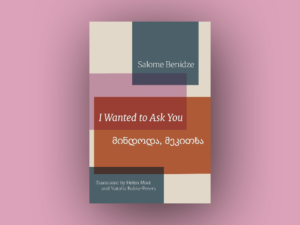 Adham Smart reviews ‘I Wanted to Ask You’ by Salome Benidze, translated by Helen Mort and Natalia Bukia-Peters, the Poetry Translation Centre, 2018.